As a child, I had one fashion pet peeve: pink. As I grew older, I started to accept it as a color appropiate for accessories, sometimes even for blouses. Now, I see it as a state of mind. 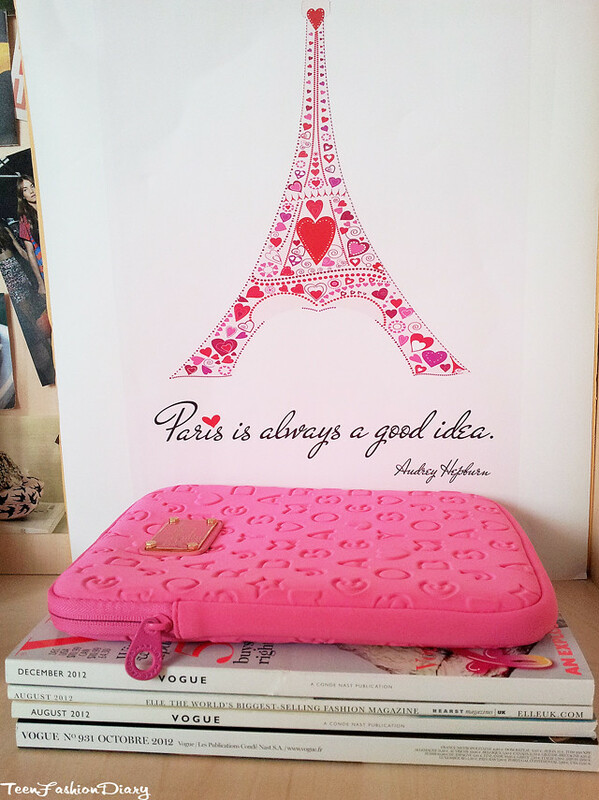 I like to surround myself with this colour, though not excessively. As much as I would like to 'think pink', I am not the optimistic type so I guess I have this need because I want to remind myself constantly that there are reasons to be happy and relax. It's such a joyful colour and that's why I bought my beloved Marc Jacobs Ipad case in this bright fuchsia shade (or honeysuckle?). I've always dreamed of a big poster/illustration/painting to replace my moodboard and I wanted it to have a strong message, something I would really like to do someday. PS: Don't forget to enter the awesome giveaway where you can win a Marc Jacobs bracelet! 100 entries already, wow! Audrey is perfection in every way. I love these quotes so much. Just happen to pass by your blog!! 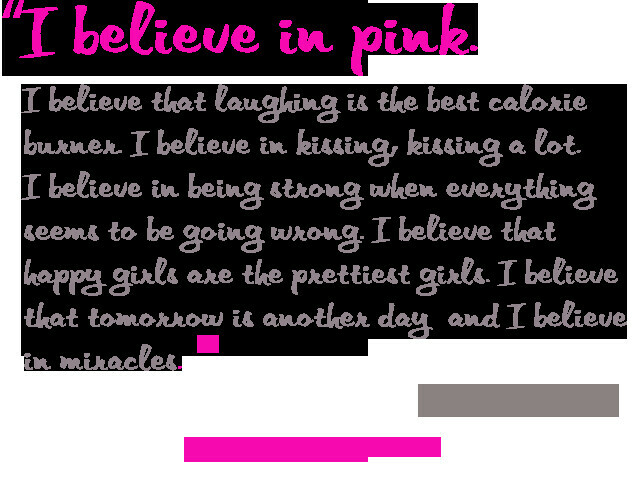 :) every girl love the pink..every woman wear it!!! <3 <3 If you want you can take a look on my blog! !I'm a new blogger !!!!! :) We can follow each other! !What do you think??? :) Just let me know your answer -where you follow me- on my blog and then i followed you back!! !